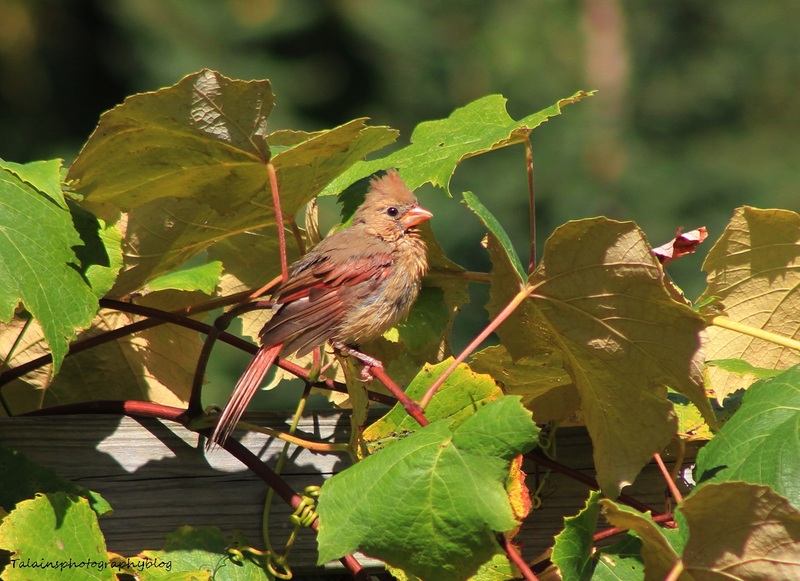 A young Female Cardinal that was sunning her self in the grape vines in the back yard after using the birdbath. This image was also taken a couple of weeks ago. 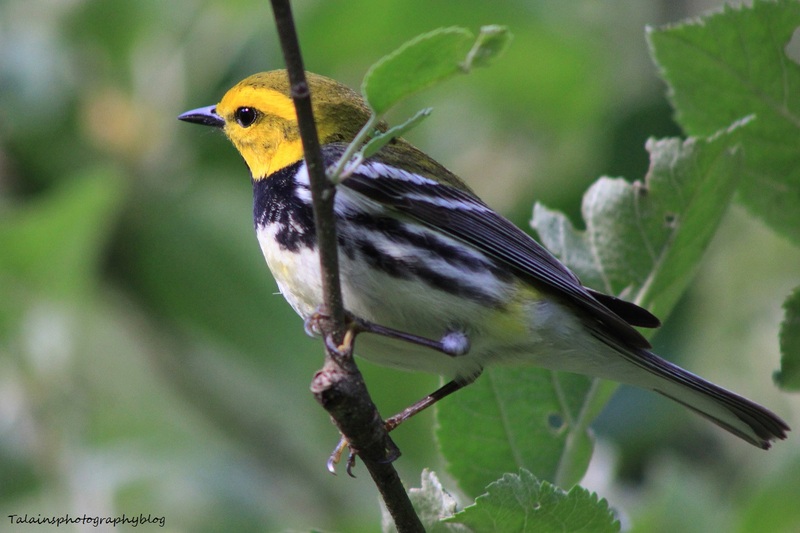 A male Black-throated Green Warbler from a spring outing. 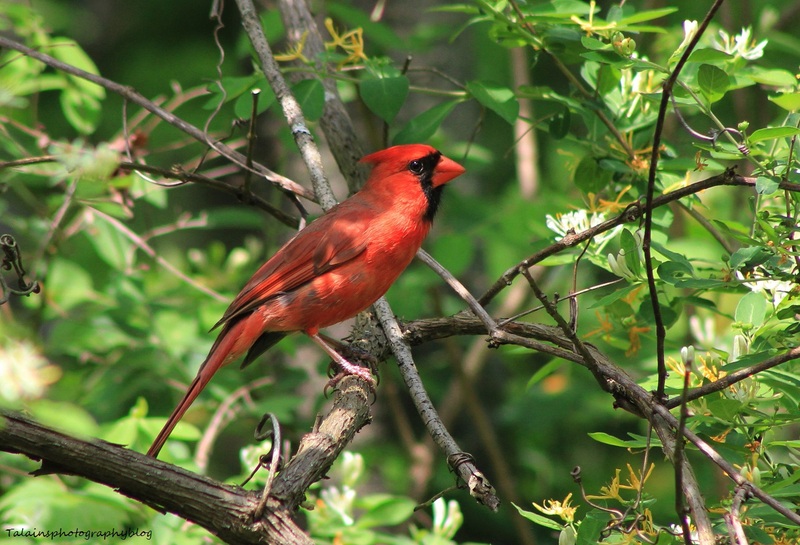 A Male Cardinal that was in the back yard. 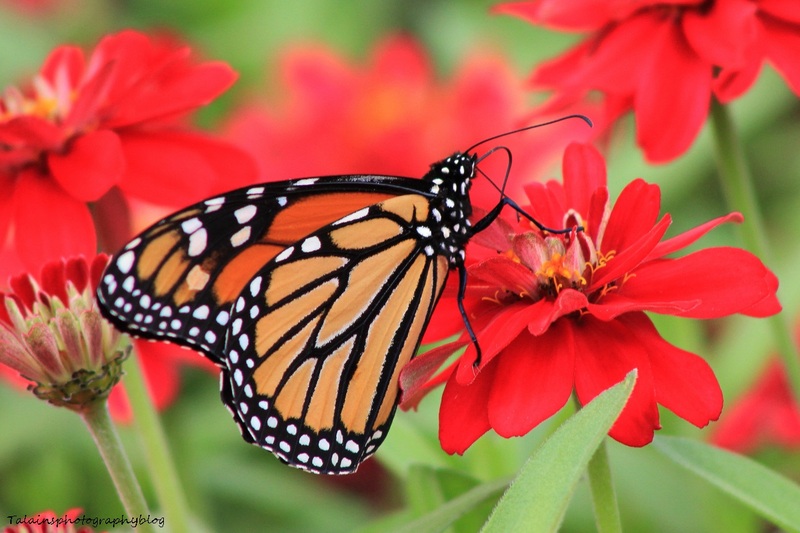 A Monarch Butterfly that was enjoying a Zimmer Flower on this past weekend in a local garden. 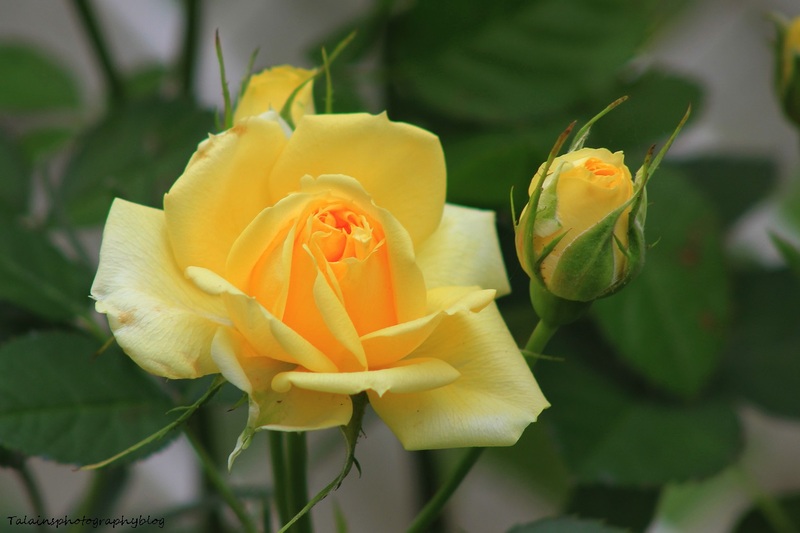 This is a small dwarf Yellow Rose Bush that I have growing in a raised planter. It go's through cycles all summer long it seams periodically giving use these beautiful yellow flowers. I believe that this is a Brown-spotted Yellow-wing Dragonfly. He was hanging out in the back field at the family farm just before the sunset on this particular day. 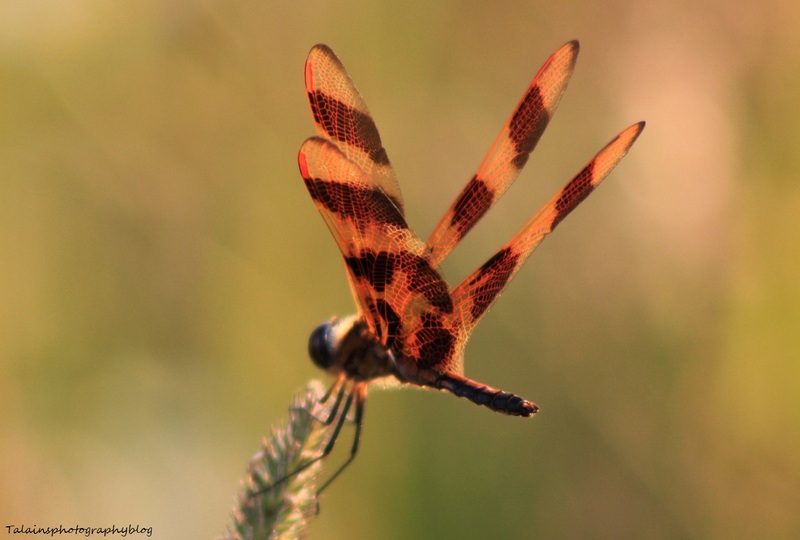 I shared this today because I liked the way the wings are illuminated by the sun showing their detailed structure. 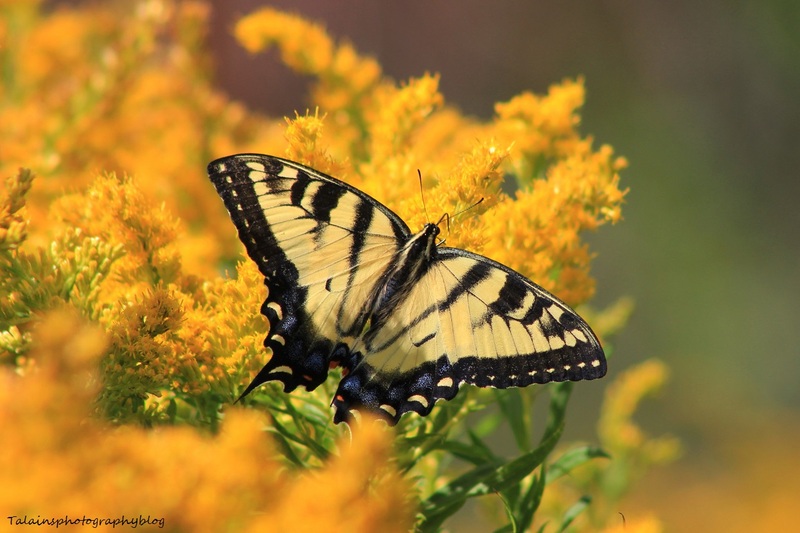 A Tiger Swallowtail Butterfly enjoying himself on Goldenrod nectar.